Hi, I’m Fred. 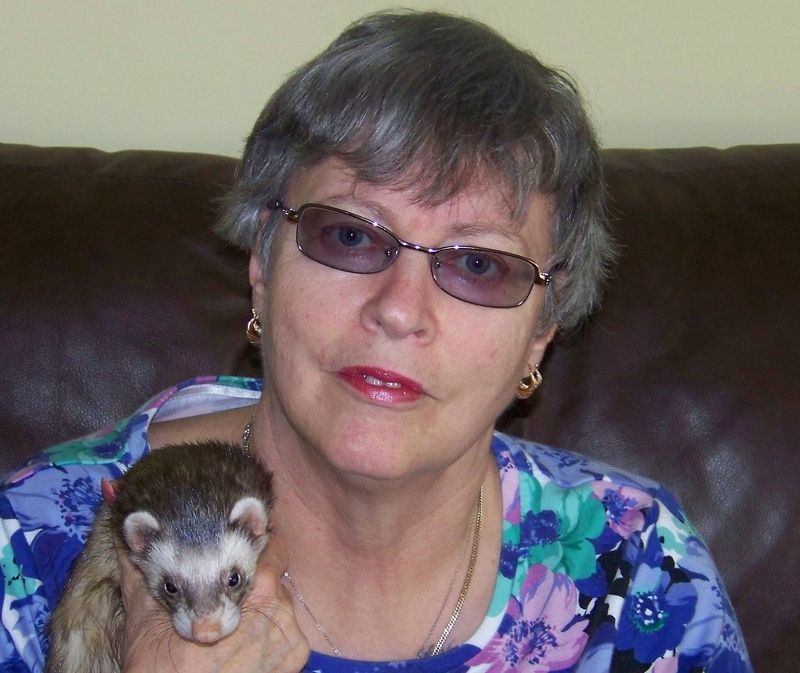 I’m very happy to be president of the Manitoba Ferret Association as of April 2016 to current. I first became involved with the MFA shortly after re-homing our first ferret Marty. Resources that I thought would be readily available were in fact quite scarce. A quick Google search and there was the Manitoba Ferret Association. My relationship with the MFA quickly grew. It didn’t take long for me to become quite devoted to the furry little brats. A combination of a lot of time on my hands and a love of animals I’ve had since I was young was all the catalyst that I needed to become a new ferret fancier. The more involved with ferrets and the MFA I became, the more I wanted to help, to share the knowledge I gained and help educate others. As an aspiring amateur photographer, I have the amazing opportunity to spend a lot of time with the ferrets in the shelters, being the photographer for the MFA just adds to the fun. I’m looking forward to getting out there and spreading the word about the MFA and the joys of having a ferret as a friend. Hi, Sharon here! 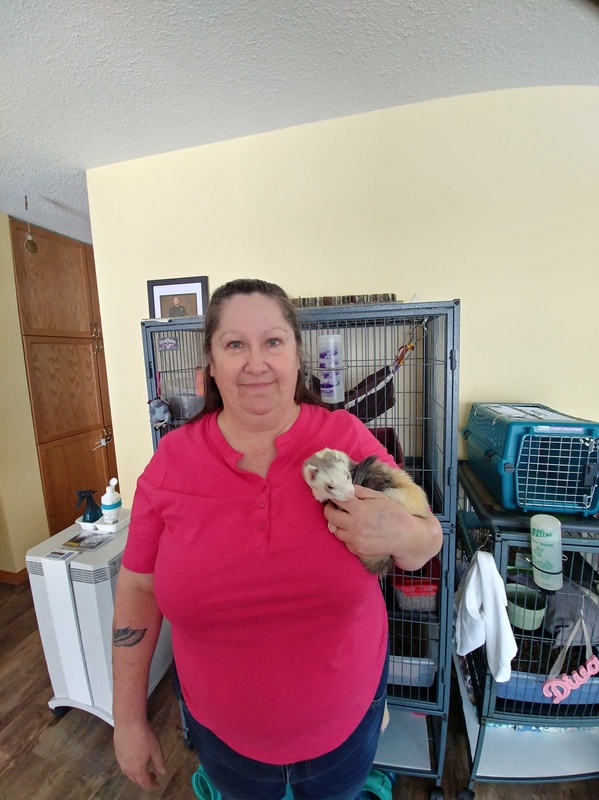 I adopted my first ferret from the Manitoba Ferret Association satellite shelter in Steinbach. Bridget and I hit it off and soon she suggested that I open my home as a satellite shelter for the Roland area. I met with the main shelter mom; Deb and was accepted as a satellite shelter. I now do intake only and foster the hard to place ferrets. 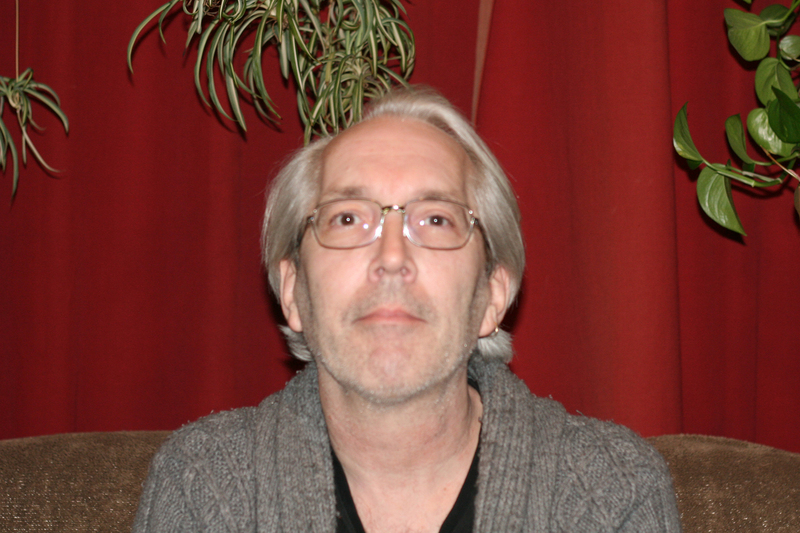 I became the Vice-President in April 2016 to current. I co-founded the association with my late friend Carole. I held the position of President for many years. I have been the Secretary / Treasurer for the last few years. I have also operated the Main Shelter since 1998 to date. I fell in love with my son’s ferret Farrah and she became my first rescue. Many ferrets have left their paws prints across my heart. After 20 plus years, I am still very passionate about the well being and health of these wonderful pets.